Evapotranspiration (ET) is a measurement of the amount of soil water lost to the atmosphere via evaporation from the ground surface and from the plant leaves. The latter process is also called transpiration. Historically, ET was measured by how much water was evaporated from an open pan of water on a given day (Epan); now, it is calculated via the Penman-Monteith ETo equation (‘open’ pan / grass). ETr (‘reference’) is a different reference value based on alfalfa water use. ETr is typically 20% greater than ETo as alfalfa uses more water than grass. Although alfalfa reference (ETr) is commonly used in the Pacific Northwest for other crops, grass reference (ETo) is often used by wine grape growers because of its historical use in California. Note of caution: ETr and ETo are not interchangeable. How does Reference Evapotranspiration Relate to Grapevine Water Use? Since ETo represents water loss over a period of time, it can be used to estimate grapevine water use, which in turn, can be used to make irrigation scheduling decisions. However, different plants have different rates of water loss, as seen with differences between ETo (grass) and ETr (alfalfa). When talking about crop-specific water needs, a new ET term is introduced, ETc, or crop evapotranspiration. ETc is calculated by multiplying ETo by a crop-specific coefficient (Kc). In cases where a crop demands a lot of water relative to grass, Kc will be greater than 1. In cases where the crop is more water efficient than grass, Kc will be less than 1. Wine grapes are a fairly efficient plant in terms of water use, and their Kc is typically less than 0.8. In most systems, a single Kc is used throughout the growing season. However, the amount of water a grapevine needs changes as the canopy and fruit develop. Because of this, Washington State University has developed a varying-rate Kc that is dependent on growing degree day accumulation, which serves as an estimator of canopy and fruit development. Thus, a fully-irrigated Vitis vinifera ‘Cabernet Sauvignon’ vineyard in eastern Washington will have a Kc that varies between 0.3 and 0.8 throughout the growing season when irrigation is necessary (Figure 1). Figure 1 (PDF) – Grapevine Kc changes over the growing season based on canopy development and crop water needs. 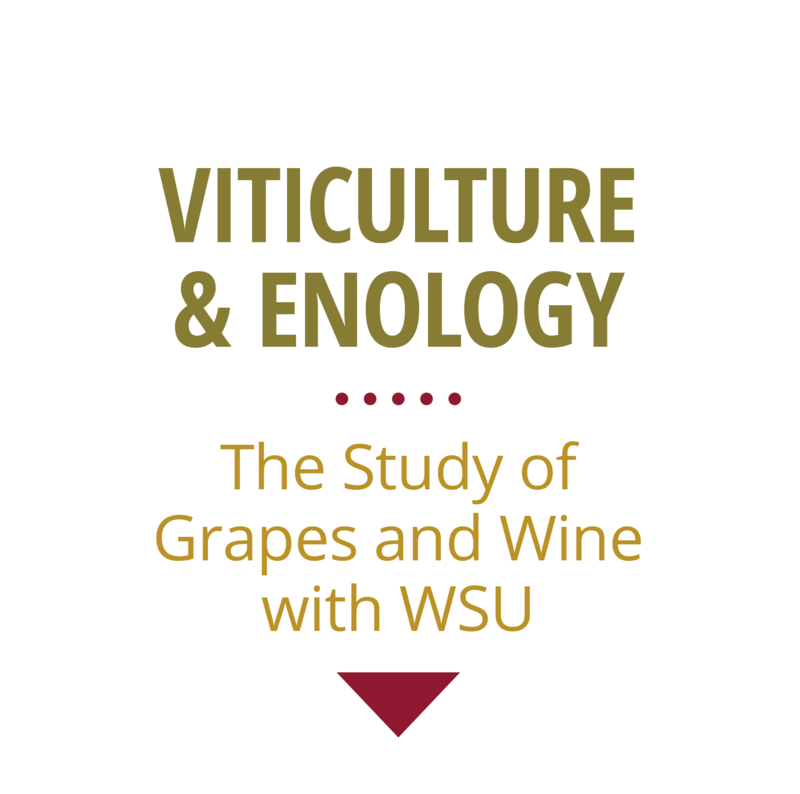 Washington State University developed a varying-rate Kc for grapevines based on the relationship between growing degree day accumulation and crop water use of a fully-irrigated Vitis vinifera ‘Cabernet Sauvignon’ vines. Here, typical growing degree day accumulation was converted to a calendar system, showing that peak crop water needs shift in time depending on whether it is a cool or hot growing season.. in other words, during some years, GDD units accumulate earlier in the year, and thus, changes in plant development and crop water use are also shifted in time. For example, in 2013 budbreak occurred in mid-April, whereas in 2011, it occurred in early May. Incidentally, peak water needs (i.e., the time of highest Kc values) usually coincide with veraison. Reference: Evans, R.G., et al. 1993. Water use of Vitis vinifera gapes in Washington. Agricultural Water Management 23(2):109-124. Current-Season and Long-Term ETc for wine grapes in eastern Washington. Both the current-season and long-term ETc for wine grapes in eastern Washington are presented below (Figures 3 and 4), using growing degree day information and ETo from the “WSU-Headquarters” AgWeatherNet station near Prosser, WA. Conditions in your vineyard may vary depending on the vineyard’s mesoclimate. Currently, this specific calculation of ETc for grapevines is not directly available on AgWeatherNet stations. However, if you would like to calculate ETc using the Washington State University Grapevine Water Use method, please download our Kc chart (.pdf). Graphs are updated every 7-10 business days during the growing season; if you are not seeing updated numbers, please clear your browser cache. For evapotransipration values for other locations in the state please visit AgWeatherNet . Regulated deficit irrigation (RDI) is a form of water stress applied after fruit set to aid in controlling grapevine canopy size and berry size. It works by only partially replacing ETc for grapevines during watering regimes. In many cases, 70-90% ETc during fruit set and veraison is used, but regimes below 50% ETc may be applied b for premium wine grape production. RDI is NOT recommended prior to fruit set, or after veraison. Water stress pre-fruit set can result in cluster abortion, and in irrigated regions, if soil moisture is not sufficiently replaced prior to irrigation shut-off, then insufficient soil moisture over the winter season can increase the risk of root cold damage and poor development the following spring. Typically, due to the timing of irrigation source shut off, this replenishment must begin prior to harvest. To calculate the amount of water that should be replaced when using RDI, simply take ETc (usually calculated as the accumulation of water loss between irrigation sets), and multiply it by the desired RDI level for that growth state (i.e., 70% = 0.7, 80% = 0.8). Note – There is often a lot of confusion as to how to calculate the amount of water needed when applying RDI. There are many recommendations in handbooks, websites, and conversations that use ETc, ETo or ETr as the base ET calculation for water replacement. The specific ET used can have major consequences on the final result. Example 1: RDI is applied to ETc. Grapevine Kc = 0.8; (full-canopy, mid-season). Example 2: RDI is applied to ETo. When following RDI recommendations, understand how those recommendations were developed, and how the recommender would like it applied; misunderstandings can result in either under-watering or over-watering a crop. Check out the new Irrigation Scheduler, which allows you to monitor plant water needs from your mobile device. Want to subscribe to the Viticulture & Enology Extension email Listserve? Sign up!